Every time you come to this Earth, you have an instant relationship with every soul-body who’s wanting to know what you know . . . to master the human technology you’ve mastered. Then there’s that pesky thing called timidity, nervousness, and intimidation that pays you a visit. This is not a bad thing, it has a bad reputation, but it’s not a bad thing. When you’re nervous, and intimidated, you’re nerves are aware of the importance of the moment . . . there’s tremendous energies igniting inside you to deliver what’s to be delivered. This also demonstrates that you’re the person with something of value to deliver. Break it down . . . the word is nervous . 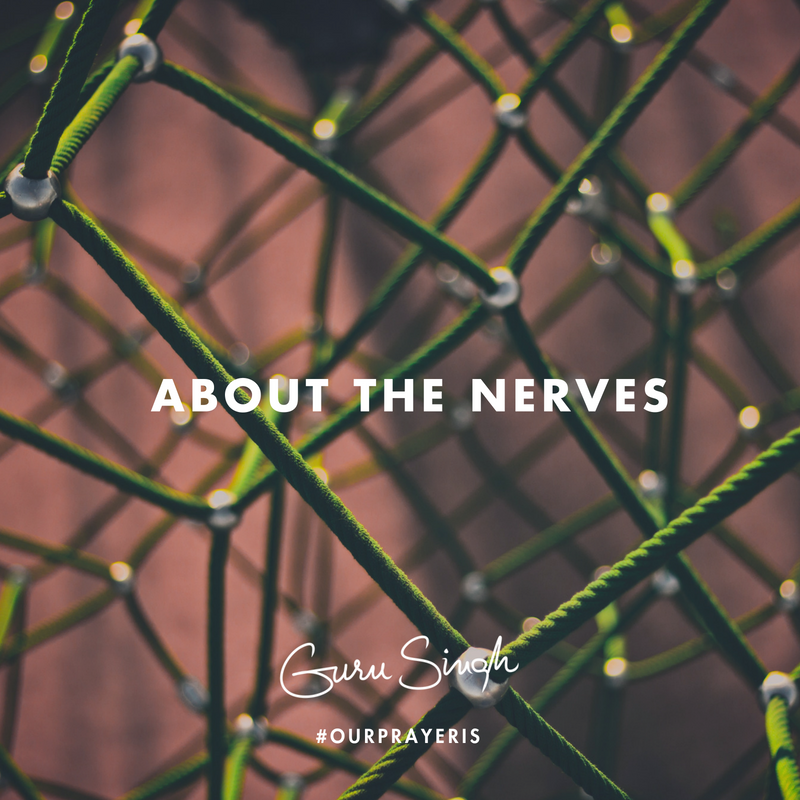 . . it’s about the nerves . . . the nerves carry messaging, information, and energy to deliver the momentum to the moment. Like when you’re going on a journey in your car, you make sure there’s sufficient gas (enough energy) . . . this is exactly what’s taking place in your body. When you have a journey -- an assignment to carry out -- the nervous system makes sure you have a full tank of energy. This is called being nervous, but it's not a bad thing, it's a fully energized thing. Over the recent centuries, it’s been thought of as a discomfort . . . and the past few centuries have been focused on achieving creature-comforts. But when you’re born on this Earth, you’re here to deliver the lessons you’ve learned to those who’ve been waiting lifetimes to learn them . . . your tank fills up for the lessons to be delivered and fulfilled . . . the sensation is called “being nervous.” There’s that saying amongst actors . . . “If you are not nervous before going out on stage, you're going to fall flat.” You need a full tank of energy to go out onto the stage of life and deliver. Our prayer is that whenever you’re nervous, you know that you’re essential to the moment; instead of branding this feeling as bad, reshape it into your best friend; understand this as a message from infinity -- you’re being prepared for your destiny as a teacher . . . capture the pure nervous energy in the sails of your attitude and fly with it.